Have you ever been in a situation that you've recorded a video using your mobile phone and find it out later that it is in the wrong orientation? Maybe you need that video for the school project and need to rotate the video. 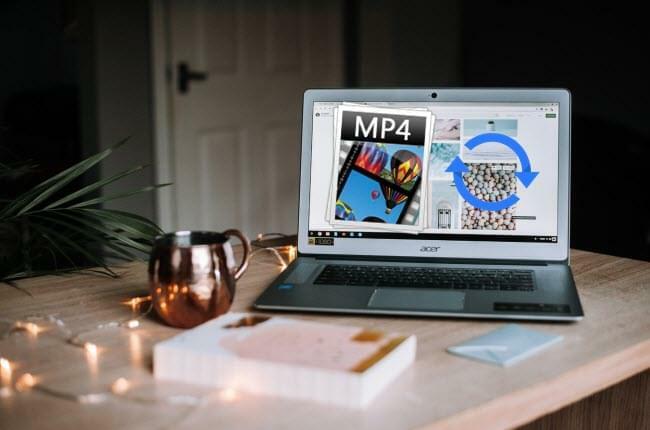 Fortunately, there are some feasible ways so you can rotate MP4 video on Windows, Mac, and mobile devices. Let's find out which one is best for you. Video Grabber is an online tool which can rotate, download, convert video and record the screen of your device. It can support numerous video and audio formats such as MP4, AVI, MOV, WMV, MKV, MP3, AAC, WAV, WMA, and so on and so forth. Aside from that, it can trim, add watermark, effects, adjust video volume, play speed, crop and flip video. In addition, this program is compatible with Windows PC, Mac, Android and iOS. Just make sure you have your favorite browser (Chrome, Safari, Firefox, Internet Explorer, Opera etc.) and an internet connection available on your device. Below are the steps on how to rotate MP4 video online. Go to your browser using your device and visit the program's official site. Next, click "Convert Video" then "Select files to Convert" and choose MP4 video from your device. Click the "Edit" icon. 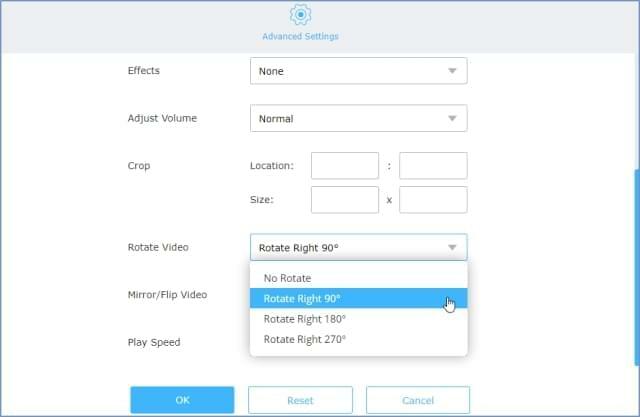 Click the drop-down button on "Rotate Video" and select an angle where you want to rotate your video then hit "OK". Finally, click the "Convert" button and then select a location for the video and wait for it to save. 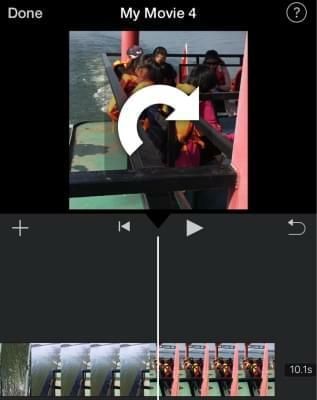 If you want a stable video editor which can rotate videos, then use BeeCut. This is professional software, which has advanced video editing functions and is compatible with both Windows PC and Mac. With the help of this tool, rotating an MP4 video is very quick and easy. Moreover, users can customize their videos by adding some filters, transitions, texts, overlays, and elements. Also, it can crop, cut, split, trim, add mosaic, adjust saturation, hue, contrast, brightness, and speed of the video. The exported videos can be used as entertainment, school presentations, for businesses, etc. Follow the procedure explained below about how this program works. Click the "Download" button below to download the program and install it on your computer. After the installation, run the tool and then choose aspect ratio. Click the "Import" button and then "Import file" to select files from your computer. Once the file is added, drag and drop the file to the work area. Then right click the file and click "Edit". Click the "Rotate" buttons until you've got your desired position. When you are done, click the "Export" button to save it on your computer. 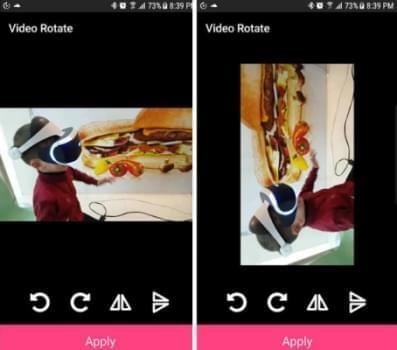 If you are an Android user, you can use Smart Video Rotate and Flip. As its name implies, users can rotate videos quickly. This application has a simple and clean interface that can be used by almost anyone. Apart from that, it supports multi-rotations at the same time without any trouble. It is compatible with any Android devices which run an OS of 4.1 and later. To fully understand on how to rotate MP4 video, see the steps below. Install the application from the Google Play Store. Run the tool once installed. A window will pop up asking to allow the app to access photos, media, and files. Tap "Allow." Next, tap the video that you want to rotate. Tap the left or right rotate buttons then tap "Apply". For iOS users, use iMovie. This is one of the most popular video editing tools for iOS devices such as iPhone and iPad. Users can rotate video, trim, create a copy, add effects, themes, music, transitions, and a lot more. Moreover, since it is a handy tool, you can edit videos anytime and anywhere. See the step-by-step process for how this tool operates. On your device, go to the App Store and search the name of the app then tap "Get" to install it. Open the application once you have finished installing. Tap "+", then choose a video that you want to rotate. Place your finger and thumb in the viewer then rotate it left or right ways. When you are done, tap "Done" > "the middle-bottom" buttons. Afterwards, tap "Save Video" and choose a size for the exported video. As you can see, there are a lot of programs that can help you rotate videos conveniently. All those listed above are some of the best video editors available on the market. If you want to rotate MP4 video free, try Video Grabber, Smart Video Rotate and Flip and iMovie. Meanwhile, if you are looking for a tool which has everything you need for video editing in general, BeeCut would be your best choice.